Now Hiring:. We are a caring, compassionate facility who want to have a real impact on our organization and touch the lives of the residents who make our facility their home. The first step in our interview process is the completion of a pre interview questionnaire. Please access your corresponding URL link to complete and submit the questionnaire. 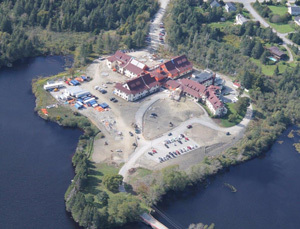 Villa Saint-Joseph du Lac operates as a provincially funded, not-for-profit Long Term Care facility with a normal operating capacity of 79 residents. The facility is two stories with six separate Villas, three on the lower level and three on the upper level and has an area in excess of 75,000 square feet. The site itself is accessible from Highway 1, Dayton, NS via Murphy's Bridge and and covers roughly 30 acres. 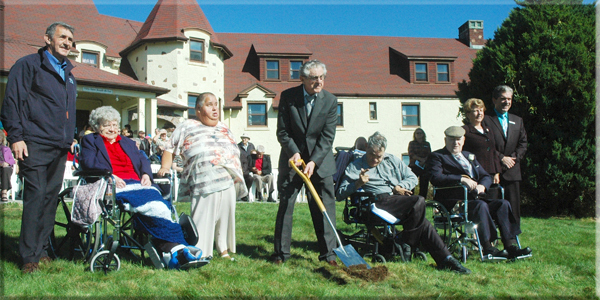 Ceremonial sod turning held October 2, 2012 to commemorate the construction of our new facility.